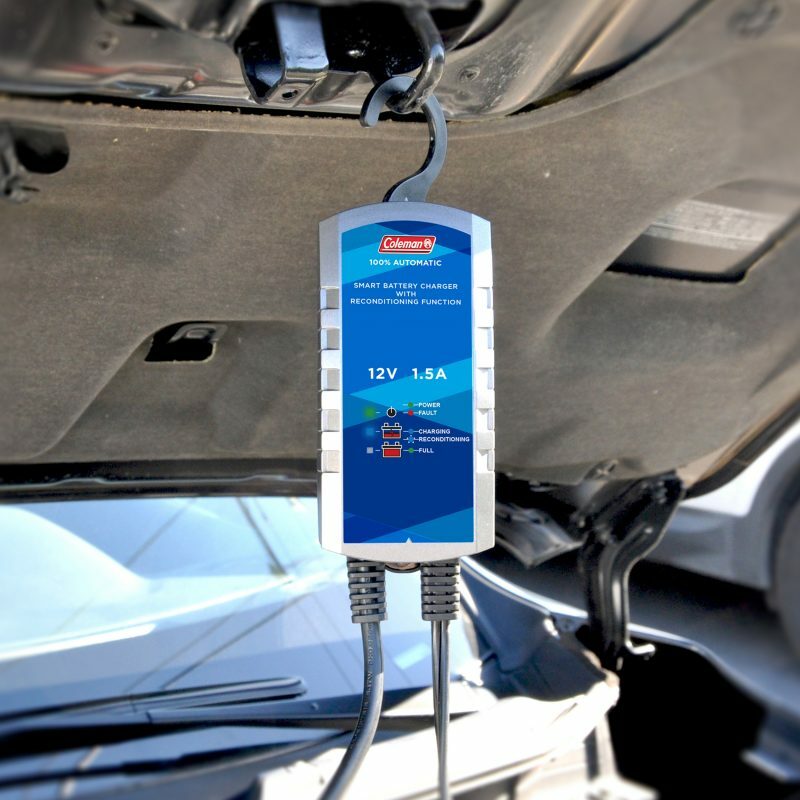 12-Volt, 1.5 Amp Smart Battery Charger With Reconditioning Function - SunForce Products Inc. 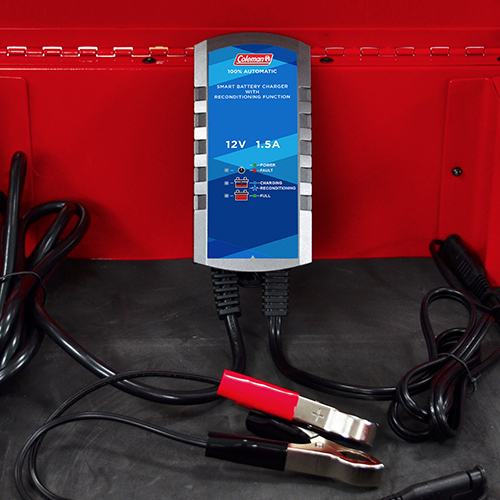 The Coleman 12-Volt, 1.5 Amp Smart Battery Charger With Reconditioning Function is easy to operate and requires no technical experience. 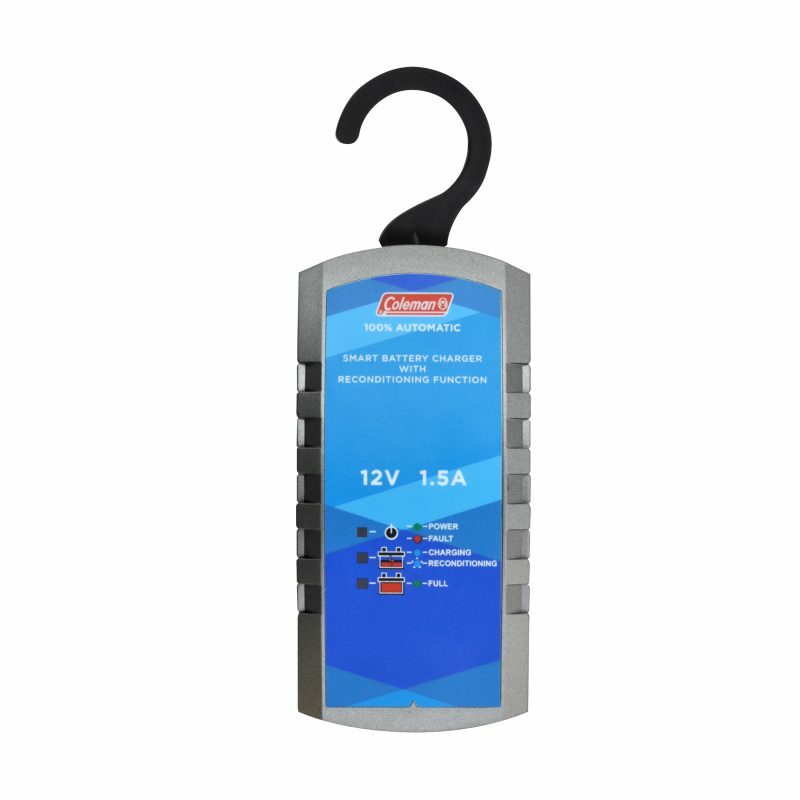 This charger has a unique rejuvenation feature which uses a high voltage equalizing and peak pulse reconditioning to repair a sulphated battery. This feature is fully automated and subject to the internal characteristics of the battery. 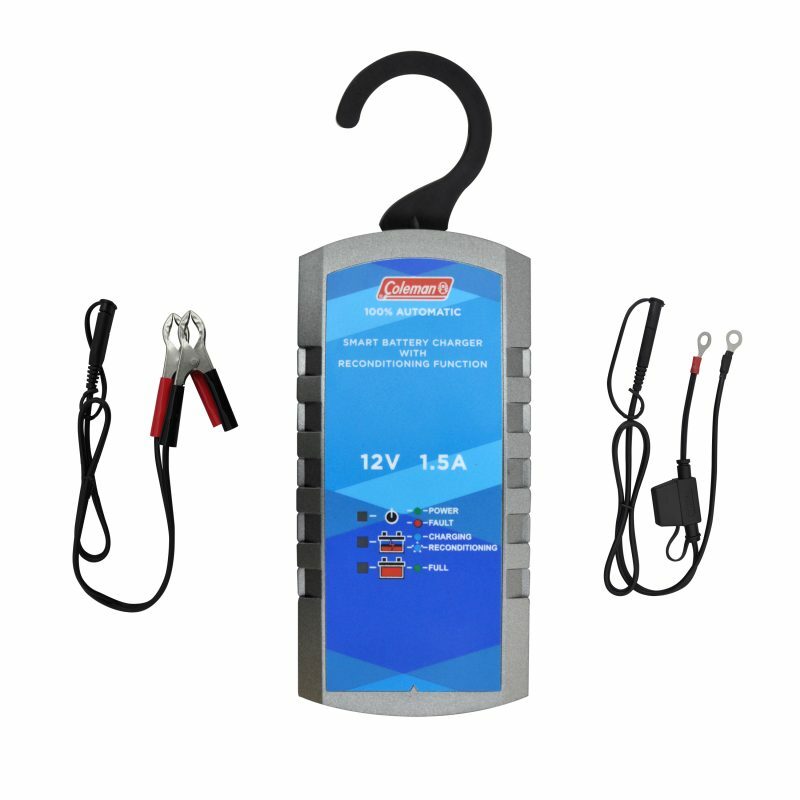 The battery charger can be left unattended and it is managed by an automated smart technology; when the battery is charged to "full" state, the charger automatically switches to maintain the battery. 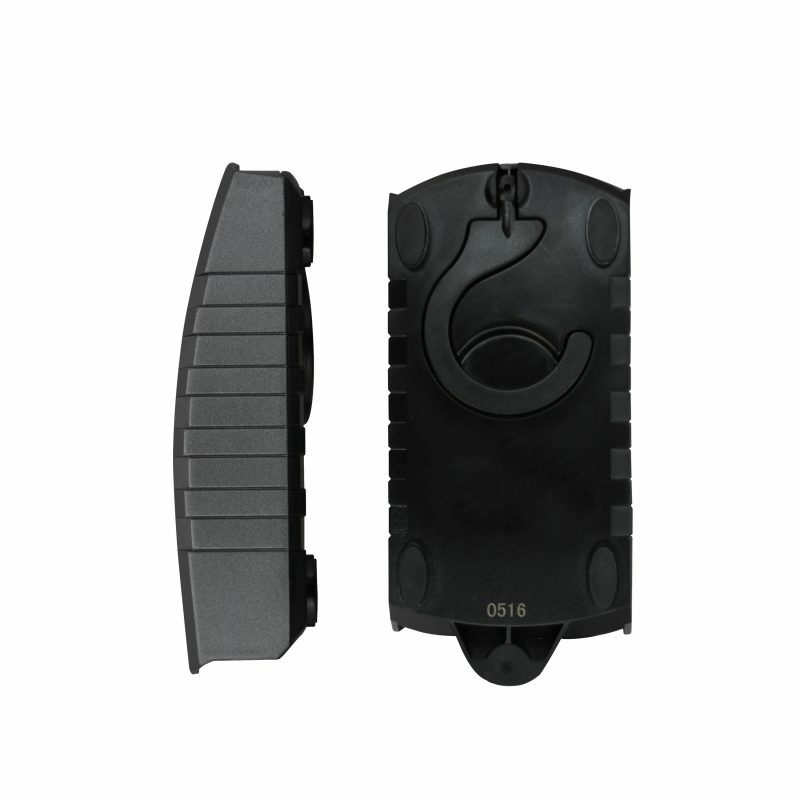 It will monitor the battery voltage and allow a pulse charge for long-term battery maintenance.